Vincenzo of Italy 700 series | Old Morris Tobacconist Victoria BC, Fine Cigars, Humidores and Tobacco Merchantile. Vincenzo are a classic line of Italian pipes known for their stylized design, high quality construction, smooth-smoking qualities and affordability. The 700 series are larger than the 400 line and have lighter, highly polished bowls. 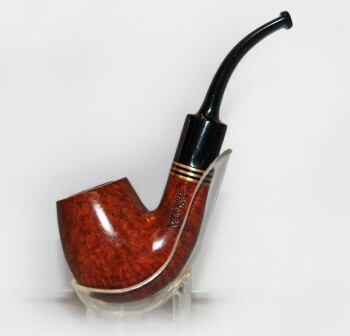 They are made of older briar and replace the steel band with a copper and black combination that handsomely blends the stem with the rest of the pipe. They come in a variety of bowl shapes and have a classic fishtail mouthpiece for a smooth but not overwhelming draw.